To review, in my way of thinking mental health is a present-grounded, God-reliant, humble and open way of approaching life, in which we live joyfully, seeking grace moment by moment from a power source outside ourselves, trusting that wisdom will be given us sufficient to discern which things that come our way are in need of changing and thus require courage, and which things simply need to be accepted with serenity. It is centered around an attitude that desires to lay aside all selfishness, but also readily surrenders any need to control others, any wish to always have things the way we would want them, and any expectation that we should be catered to in life. Rather, this attitude begins with the assumption that life will be hard, that hardships and troubles WILL come our way on a regular basis, and that by living in concert with our loving Creator we will be able to address problems and hardships, as well as the joyful moments, and in this way will true happiness be found. But, if the above serves as a description of mental health, what then is mental illness? Well, it is most certainly NOT a “chemical imbalance“! The whole notion of a “chemical imbalance” is quite simply absurd. This term, which has become a cultural byword (simple Google searches re. “chemical imbalance”, “chemical imbalance in the brain”, etc. all returned several million hits), was fabricated by physicians, I am fairly certain, who were too lazy to take the time to explain to their patients how the brain actually functions. Certainly the marketing departments of pharmaceutical companies have also encouraged the dissemination of the term. And since it first began sprinkling itself into varied conversations, in particular among physicians and their patients with either mood disorders or psychotic disorders, doctors began to realize that if one could convince a patient that what they had was simply a biological “imbalance”, correctable by simply taking a pill repeatedly, day after day, the likelihood of said patient actually following through and taking the medicine was much greater. So, if it “works” to oversimplify an illness to mere biological terms and thus improve “compliance”, then go with it! This seems to have become the dominant philosophy of many modern psychiatrists and other physicians. The problem is that there is no such thing as a chemical imbalance! That’s right … you read that last sentence correctly … here is a psychiatrist who does not believe such an entity exists! In terms of human beings and mental illness, one simply cannot distill down all the facets, causes, and manifestations of mental illness to nothing more than molecules of various chemicals being present in the brain in either insufficient or excess amounts. The brain is not just a big soup of chemicals sloshing around inside one’s skull. A swimming pool CAN have a chemical imbalance. The human brain is not a swimming pool. It is a marvelous collection of huge numbers of neurons, 100 billion or more in most adults. These neurons all have parts that extend out in various directions, called axons and dendrites, that then “attach” to other neurons’ axons and dendrites, often as many as a thousand different connections per neuron. These connections, or synapses, are where the communication and actual activity of the brain occurs. So, you have as many as 50-100 trillion(!) or more connections between brain cells in an adult brain. This is literally an unfathomable number to me. Now, it is true that all neurons rely on certain chemicals to be present in order for them to do what they need to do. Obviously, water, oxygen, and energy in the form of glucose are all needed on a continuous basis by all functioning brain cells. However, if these are out of balance you don’t have mental illness; you have neuron death; If the deficiency of these chemicals is large enough (caused by arterial clots, hemorrhages, the heart failing, severe respiratory collapse, etc. ), then many neurons die, and this is referred to as a stroke! However, this is not the chemical imbalance referred to by various physicians trying to convince their patients that they might as well just give up and agree to take their medicines. No, the chemicals they are referring to are what are known as “neurotransmitters”. These chemical molecules, such as serotonin, dopamine, norepinephrine, glutamate, and others, are chemicals that neurons produce and then, when the neuron is stimulated to “fire”, are “spit out” toward other neurons in those tiny spaces between them at the “synapses” referred to above, which then causes the next neuron to be stimulated and “fire” as well. Thousands and even millions of these networks of neurons firing in certain sequences is what leads to everything that we humans think, feel, say, and do, and also comprise the system of “storing” of memories of all sorts, not to mention all the things the brain does without our conscious awareness, such as regulating our breathing and heart rate, our muscle tone, our bowel and bladder functioning, hormone production, and even our moods. Yes, it is true that all of these billions of neurons are simply highly organized collections of chemicals, and they function by producing many chemicals: the neurotransmitters noted above, the “receptor” proteins that “receive” the transmitter chemical molecules, as well as the myriad of other supportive chemicals such as DNA, RNA, proteins, peptides, phosphglycolipids that form cell membranes, etc., etc. However, brain dysfunctions that lead to “mental illness” don’t just happen because there are not enough of these chemicals, or too much, or a mixed bag of altered “levels” of these or other chemicals. The truth is that we humans are amazing beings. We are an incredible tapestry of body, brain, mind, and soul. We are social, physical, emotional, mental, and spiritual beings. Every single thing that happens in any one of these spheres ripples out and can affect each or all of the other spheres. The biological portion is no different. Thus, mental illness can be a result of both genetic expressions of the “hard-wiring” we inherited from our parents and other ancestors, as well as all the things that have happened to us, from our time in our mothers’ wombs, to all that happens during birth, to the bonding we had or didn’t have with our parents in infancy, to the nutrition we had as children, to all the many, many events of childhood and adolescence, to various stresses, traumas, losses, health problems, and any number of other factors that occur throughout adulthood. The body and brain constantly grow and adapt, changing as these things alternatively support or hinder our growth, as we learn to either trust that the world is relatively “safe”, or that it is a place one must be careful of, to “fear”. Emotions, thoughts, beliefs, biological events, social experiences, spiritual growth … all these and more contribute to our relative immunity to, or our development of, mental illness in its many faces. The bottom line is that at a biological level, mental illness is never just a chemical imbalance. Rather, it is more an expression of neurophysiological dysfunction, but even then the biology is also a part of the social, the cognitive, the emotional, the physical, and the spiritual facets of one’s life. Mental illness comes because of all of these arenas, to greater or lesser degrees, and as it develops it in turn impacts every one of those arenas. Far be it from me or any of us to reduce such amazingly complex and sacred experiences as major depression or bipolar disorder or schizophrenia or panic attacks down to simple biology or chemistry. This is to deny our humanness. This is to sell our souls for the sake of pharmaceutical profits, and fewer headaches from patients who actually want to ask questions, who want to look deeper into the workings of their own minds and souls as they struggle to overcome emotional and cognitive disorders. So, let us all please, please forget the term, “chemical imbalance”. Unless you need to lower the pH of your swimming pool, or add more chlorine, just throw chemical imbalances onto the rubbish heap of history! Up next: we throw ourselves into the very difficult task of understanding the highly debilitating condition known as depression. Depression is strong, but there is good reason for hope for all of us, and we’ll see why soon enough! First off, is that an ornate belfry or what?!! Wow! This bell tower sits atop the San Tomas church in Haro, a town in northern Spain. And I just gotta say, it would be one lucky shrink who was allowed to live up there! After all, Haro is known for producing very fine red wine, and the weather is said to be quite nice. Wonder if there are any bats hanging out in there? Moving on, it’s time to tackle the rest of the serenity prayer. In my view, the second half of the prayer, reprinted above, simply gives color and detail to the first portion, which we’ve looked at in the last two posts. But, again, my opinion is that this prayer serves as a very elegant picture of good mental health; that is, living in a mentally healthy manner. And as such, both parts of the prayer are necessary to paint that picture for us. So what do we see? Well, first off, as this post’s title indicates, a major key is that life is best lived one day at a time. Interestingly, as many of you may know, the “one day at a time” phrase drawn from this prayer has been a widely-used motto of encouragement within AA and other recovery groups for decades. As many old-timers within AA will tell us, that motto has helped innumerable members of their fellowship to remain sober when stressful winds picked up, and cravings seemed unbearable and irresistible. Just getting through 24 hours sober can be a doable task when you realize that you don’t have to do the whole rest of your life all at once. Just one day. As Jesus said, let’s deal with today’s concerns today, and let tomorrow take care of itself. Seems like a healthy approach to me. Actually, though, the point is not so much that we are to live one day at a time. This is really just Niebuhr’s way of calling us to stay in the present. This is illustrated further with the very next line, “enjoying one moment at a time”. As we live, a ‘moment’ is actually not a defined unit of time. It signifies the present, without really assigning any particular or specific time length to it. A moment, to me, refers to events, thoughts, encounters, choices, things people say to us, things we say to others, things that happen in our lives. And in those present moments is really where our “mental health” is tested. We are, at any given “moment” either mentally healthy, or, in varying degrees, we are not. Please don’t overlook the word, “Enjoying”. Easy to do so. We may actually want to overlook it. How does one ‘enjoy’ every moment of one’s life? I’m not sure anyone ever has. But, within the context of this prayer, perhaps it is possible. Again, partly dependent on “God“, partly dependent on my own attitude. Trusting, positive, never letting our expectations of life get too high, never thinking too much of ourselves, seeing life as a grand adventure that will NEVER destroy us. If we do those things, and really look forward to whatever might come next with excitement and anticipation, then life can be enjoyed one moment at a time. It really can happen. The next line is hard. “Accepting hardship as a pathway to peace.” A very simple and easily understood phrase. The question it leaves unasked is also very easily understood. Can we truly accept the stress? Can we accept frustration? In some cases, even in our modern world, can we accept illness, fatigue, loss, heat, cold, rain, floods, storms, drought, pain, fire, war, bankruptcy, injustice, abuse, death? Can we? Will we? I am certainly in no position to answer, having been largely sheltered from most of these things in my own journey, thus far. But, as the author of the prayer states, hardship, if accepted and not cursed, is a path to being at peace in one’s core, at peace with life, at peace with the Giver of all good things. If we are prepared for it beforehand, I believe we can accept hardship, and even welcome it. Doesn’t mean it has to be our friend, but we certainly can always ask of it, what would you teach me? What can I learn from you? “Taking, as Jesus did, this sinful world as it is, not as I would have it.” As one reads through the Gospels of the New Testament, one is struck by how Jesus did not try to proclaim His message to all the folks within His reach. In fact, He often demanded of those whom He healed to keep quiet about the miracles He had given them. Several times there were seeming opportunities to wield dramatic change in many around Him, including any number of persons who were highly skeptical, those in leadership positions, those who often abused and oppressed others, but He seemed bent on revealing Himself only to those whose hearts were open, were truly needy, were humble and contrite; i.e., the “poor in spirit”. As for those whose pride and power were too blinding, Jesus seemed to simply “pass”, and move on. So, following His example: Taking the world as it is, and letting go of my own hopes and dreams for the people around me, the “world” as I would have it. Again we come back to that powerful concept and drive: Control. Are we in a place to set it down, to lay it aside, to let it go? Are we ok with others being different from us in any number of ways? Are we ready and willing to meet any other person where she or he is, and not immediately and automatically “sizing them up”, judging and categorizing every person we encounter? If we are, then we are taking and accepting the world as it is. A very healthy stance. The last few lines are the key to being able to do all that is laid out in the preceding lines. We must … 1) trust in God to take good care of us, and “make all things right” in God’s own timing, as we 2) surrender to God’s will; This is very hard. We were all raised to follow our own path. We have all been taught that we are the ones responsible for ourselves. We are “in the driver’s seat!” But … do we have to be? Must we be the ones always deciding, usually quickly and in a hurry, about goals, destination, directions, route, speed, maintenance, etc., etc.? Or, is it ok, and perhaps a much better way to live, to yield to that soft inner voice when it’s telling us to hold on, to wait, to allow God’s wisdom to flow into us, to patiently pause until a clearer direction is laid on our minds? Is it ok, and perhaps much better, to allow for serenity to envelop us when hardship and frustration arrive, or to allow courage to move and stir us to action when we’d rather just whine and complain, to speak up about injustice, in our life or others’? I think it is far better to trust and surrender, to wait and be right and peaceful, than to react and either create more trouble, or to do ourselves and all others around us absolutely no good, since we “always know what is best”. It’s a tough dilemma, mostly because we are unaccustomed to yielding to any other way than our own. And, despite the fact that we’ve seen for as many years as each of us has been alive that when we are following our own will exclusively, more often than not we are on collision course with other people and other forces, we still hurtle on, head down, bent on stubbornly pushing our own agenda, whether that is to rush in and run roughshod, or to aggressively pull away, isolating and quarantining ourselves into our own little prisons where no one can hurt us, and no one can be helped by us. May God grant us the grace necessary to allow His wisdom, His serenity, and His courage to move in our lives, trusting in God, surrendered to the Higher will, knowing that all things will work much better if and when we do! All will be better, all will be more peaceful, all will be more joyful, all will be happier. Will we have it, though? One day at a time will tell … join me in trying, please. Are you losing your grip? Maybe that’s a good start! All of us have heard and read many times about the fact that we can control very, very little in life. Entire volumes could be filled with such wisdom. And yet, so few humans have found a way to really let go of the drive to be master puppeteer to the little corner of the world surrounding each of us. We all seem to believe that it is not only possible, but necessary, to ensure our utmost security by being as much in control of our lives and the things that “happen to us” as we can. We waste so much needless energy, and carry around so much harmful stress, all in an effort to be prepared for anything, to prevent anyone from disliking or disrespecting us, and to keep our paths as free of pebbles and puddles as possible. This striving after control inevitably leads to frustrated anger, and that leads to reactions in word and deed that are almost always (by decent-hearted people) regretted, or to a “stuffing” of that anger, which only eventually eats us up from the inside out. All because we have to keep life on a leash. And deep inside most of us there is a quiet voice telling us so … but still, on we go, hoping against hope that the next day will FINALLY go smoothly, that no one will add anything more to our 4-page ‘to do’ list, that people will somehow know exactly what we want without being told (and will actually give us those things! ), that love and peace will be ours without interruption, that all our dreams will come true. And we somehow believe WHEN, not if, these things do not come to pass, it’s because our efforts to control everything and everyone failed, and we just need to somehow get better at it. Alternatively, when we’ve tried and failed so many times that we simply feel beaten down, we give up, and begin expecting life to dump on us continually and forever. Somewhere along the line, we absorbed and assimilated the belief that life should be relatively easy; that things should go our way. If it isn’t, or if they don’t, then it’s either our fault, or it’s the other guy’s fault, or it’s God’s fault. Such a setup for anxiety, depression, anger, and constant frustration! For many this leads to seeking all kinds of escapes from their daily stress and distress, and in some cases those escapes become addictions, at times from which they never recover. M. Scott Peck began his pivotal book, The Road Less Traveled, with the line: “Life is difficult.” He goes on to explain how, when once we truly and consistently accept this great truth about life, it actually becomes easier to live. I think in his “Serenity Prayer” Reinhold Niebuhr saw the same truth (the ‘hardness’ of life), and lays out a set of attitudes, or mindsets, which can help to steer us through life’s difficulties, and for which he is then requesting of God. In these qualities or attitudes – serenity, courage, wisdom – lies the secret to a balanced, or mentally healthy, way of living. The core truth here is, again, that life is very hard. I have very little control over what happens in my life. But when things do happen, I can respond: I can first distinguish which things can and should be changed, and which things cannot or should not be changed. Then, for the first category I can attempt to change those things, conditions, circumstances. For the second, I can accept them. The first response, evaluation and discernment, requires wisdom. The second, an effort to change something, requires courage. The third, acceptance, requires serenity. Now this is where it begins to get more interesting. Again, what is the mentally healthy pray-er doing here? As I approach life in a healthy stance, what features stand out? First, thinking back to the last post, my first acknowledgement is that I need God. Life is far too complicated, far too fickle, far too uncontrollable for me to handle on my own. More importantly, my mind is far too complex, far too embued with so many false beliefs, so many unhealthy habits, so many tendencies to react, rather than to respond, to all the slings and arrows that life throws in my direction, for me to ever be able to do this on my own. So, with humility I ask for the grace necessary to allow the mind-states of wisdom, serenity, and courage to be born in me with each new encounter that life and I will have today. I ask trustingly, with the openness and the willingness to change and be changed. I ask, knowing that I don’t deserve this grace, or power, but expecting that a loving, compassionate, God or higher power will cheerfully and freely bestow it upon me. As this grace comes and begins to grow within me, within my mind, the mind-states and attitudes we need to be healthy livers of life also grow. As they grow, our ability to change our normal actions and reactions, our normal choices, grows as well. The actions and choices we listed above, distinguishing, accepting, changing, are a job for my mind, my “will”, to choose and to do. That is my part. The part that comes from without, via grace, are the wisdom, serenity, and courage. I do not yet possess these qualities in sufficient amount in order to become and to stay healthy, day by day, moment by moment. Therefore I must ask for them and be open enough to allow them to come in. When once I do possess them, the discernment, the accepting, the acting to change will come much more easily. Recall that we talked about how vital it is, even though we are trustingly asking some higher source of power to give us grace, wisdom, courage, and serenity, for us to think often about these things, these states of mind. Why? Well, as one example, sports psychologists have seen their clients achieve great improvement in their athletic performance by helping those men and women visualize themselves performing at higher levels. They use their mind’s eye to ‘see’ themselves accomplishing higher jumps, faster runs, more graceful leaps, and smoother, more accurate shots. By doing so, with eyes closed in the quiet of an office or within their home, and by repeatedly practicing this mental imagining, their confidence and comfort levels grow, and they become more likely to actually do the things they have visualized. In the same way, we also can form “grooves” in the wilderness of our minds by meditating on the mental qualities grace will give us; by picturing ourselves as wise, as serene, as courageous. As grooves form, it makes it not only easier but also more likely that the wheels of our mind will follow those grooves, in the hectic give and take of an average day. So, we can see ourselves stepping back to consider whether the fact that someone just pulled out in front of us, forcing us to hit our brakes to avoid a collision, is really worth doing something more, as in some kind of angry words or gesture or threat. We can see ourselves perhaps deciding that this is a situation best accepted, as we ease up on the brakes, knowing that it’s better to be safe and at peace, perhaps even arriving late to our destination – how terrible!! (wink, wink) – than to allow some anonymous driver to steal our mental health. We see ourselves actually having the internal peace needed to accept it when we lose a beloved pet, or when the boss puts a last-minute project “request” in our box on Friday afternoon, or when we feel very lonely late at night. We see ourselves having and using the courage to speak up for ourselves or for others to whom an injustice has been done, or to set clear limits and boundaries to protect ourselves, even when there’s a good chance it will hurt another’s feelings, or that the other person won’t like us very much anymore. There is thus a place for these kinds of meditations and visualizations. It can be very helpful, and in fact necessary in many cases. As noted last time, it’s a way for our mind to lean, or incline itself, toward a new way of responding to life. It’s a way to “loosen our grip” on life, and in so doing allows our mind to live a more free and full existence. We acknowledge that life is very difficult, that it is a long series of problems to be addressed, obstacles to be navigated, and that a healthy mindset and attitude are far more important, and far more possible to possess, than control. Next time we will look at the rest of the serenity prayer, with its simple but wonderful recipe for living a joyful, peaceful, and free life, come what may! The “Serenity Prayer” is, in my way of thinking, as beautiful and simple a way of encapsulating mental health as has ever been spoken or written. As you may know, Alcoholics Anonymous and most other 12-Step recovery groups have long recited the first two verses of this prayer at the opening and/or closing of their meetings, and many, many a recovering addict of various kinds has found solace, courage, and peace through praying the prayer, and meditating on the concepts it describes. The version most people know is an abridged version of Niebuhr’s original: “God, grant me the serenity to accept the things I cannot change, courage to change the things I can, and the wisdom to know the difference.” Albeit longer and more difficult to memorize, I prefer the original form, mainly because of the one line, “courage to change the things which should be changed”, but also because I like the thought of using an author’s actual original words. After all, if you’re going to plagiarize, might as well get it right, right?!? I’d like to walk through this wonderful prayer with you, and see if I can explain what I mean when I call it an excellent description of a mentally healthy lifestyle. Again, if you’ll recall back to my last post, I talked about how I like to think of mental health as a ‘way of living‘, as the mind’s way of ‘doing life’. If you look at it in this way, then it prevents mental health from being defined as “the absence of mental illness“, which I don’t really find useful for most of us. The very first word of the prayer is “God”. In my experience, we often overlook this word as we pray and think about the prayer, but in my mind it is THE most important part of the entire prayer. The prayer for Niebuhr begins with a call to God. Mental health, to me, begins with a call to God. Must this be the Judeo-Christian God? Perhaps, perhaps not. Niebuhr, a Lutheran minister, certainly saw God as such. But who am I to limit God or other people’s views? I do believe that mental health MUST begin with an acknowledgement that I as a frail, limited, fallible, and flawed human being, am in complete need of reliance on some power greater than my own in order to navigate life, to discern truth from falsehood, and to find serenity, courage, and wisdom. “God”. Some say that all of life, in the final analysis, “is a God thing”. I do believe that simple faith or trust, even if it’s only a very small seed of hope, in some concept of a personal God, a God who is both able and willing to give gifts to us, God’s created children, is the basic cornerstone of living a mentally healthy life. What if someone out there does not believe in a God-being? What if that person or another would like to open him or herself up to the possibility of an infinite and good Creator being there, but is simply not yet ready? Can these persons find or “possess” mental health? In my view, yes, but it still requires trust in some kind of force or power that one does not possess internally. But I also think that such persons would find even more joy and fulfillment in life were they to let their guard down and take a small leap into faith in a God-person. I know that my life went from Eastman to Kodachrome when I fell through faith, by God’s grace, into my Creator’s arms. I know that my relationship with my Creator, my Power greater than myself, makes my life an adventure, rather than just a way to pass the time en route to my body’s demise. Yes, that adventure is often rough-and-tumble, and how many times have I shoved God out of the way so I could stubbornly retake command of my own ship, or wandered away from The Shepherd’s side to pursue tasty-looking wild berries over in the thorny woods, only to have to be rescued from the brambles, and carried back to the path torn and bleeding!!! But I would not ever go back to a life without faith, not when I’m in a healthier state. It is humility, not shame; contrition and healthy dependence on God, not a crutch; this is what I’m describing here, and what the Serenity Prayer is illustrating for us. Starting from the view of humble, upward-looking, expectant trust in one’s Higher Power, the entire prayer thus becomes a series of traits one asks for, hopes for, and acknowledges that we cannot give ourselves. Knowing this, keeping this in mind, we can still benefit by going through these characteristics, these “mind traits”, and reflecting on them. How so? Well, even though we admit they must come from God, or at the least from outside ourselves, as we look at them and meditate on them, our mind “inclines itself” toward these traits. We lean toward them, as we face choices moment by moment in how we’ll respond to things we encounter, events we experience, things others do and say around or to us. And as we incline toward these mind-sets, it becomes, in my view, much easier for God’s Spirit to create them within us; in our day by day beliefs, attitudes, reactions. What is the first thing for which the pray-er of this prayer asks God? “Give us grace.” Grace? What happened to serenity, courage, wisdom? Yes, they’re coming. But, we first need grace. So, what is grace? I’ve seen a lot of definitions of the word, many of them confusing and in some cases contradictory. But, there are a few consistent themes that run through most definitions of grace, and so here is my distillation: to me, grace is a state of being, compassionately and freely given by God, in which one has the ability to live according to the highest principles of purity, peace, love, and justice. I believe that we can have more of grace at times, less at others, depending on the current state of our mind and our heart (or, soul). Regardless, though, it is all founded on the basis of God as the giver. So, when we pray, “God, give us grace …”, we are humbly asking God to grant us the abilities to do the things that are laid out in the rest of the prayer. My own personal belief is that, while God has always given gifts to us humans through history – rain, sun, food, air, water, the ability to communicate, the strength to do work, the reasoning powers to invent and to find better ways to do things, etc., true grace, meaning the ability to be in a vibrant relationship with our Creator, and to live in a way fully pleasing to that Creator, entered into the world and into history through the life of Jesus Christ. Others may disagree, but that is my stance, and I believe there is good evidence to support it. That said, if I have not lost you yet, we’ll continue digging into the rest of the prayer and the model of real mental health it represents, next time. So how far is it to mental health, and how will we know when we get there?!? Dorothy, The Wonderful Wizard of Oz; by L. Frank Baum, 1900. It’s a term very often used, but very seldom understood, and, it may seem, even less often possessed. I certainly don’t have a good definition of the term. I doubt I possess much of it, either, whatever IT is. And, given the way many other psychiatrists use the term, I’m not entirely sure I’d want to! That said, I do believe ‘mental health‘ does exist, and is obtainable for all of us. How so, you might ask? How could persons with, say, schizophrenia, or a severe brain injury, or chronic depression, or debilitating obsessive-compulsive disorder, actually BE mentally healthy? Well, not easily, I will admit. Nevertheless, I believe it’s possible for all of them, all of us. Importantly, I do NOT think of mental health as the complete absence of “mental illness“. To the contrary, I don’t believe the two terms are necessarily related at all. I tend to think of mental illness as a “condition”, and of mental health as a way of living. We’ll get into the differences as we go, but why don’t we start with some definition of terms. First, what does “mental” refer to? According to Webster’s, mental is an adjective which refers to any intellectual process, or otherwise to things pertaining to the mind. Of course, this leads to the next, and bigger, question: What is the “mind”? And, what does “intellectual” mean? Well, now, these will take us a little bit deeper. The mind, in my view, is that part of us that “thinks” and “chooses”. It is the part of us that “believes” things to be true, or to be false, and various shadings in between. It is the part of our “consciousness” (that is, the part of us that is aware of ourselves, the world around us, and of what we are feeling or experiencing at any given moment) that we can truly control. The mind is not very easy to control, granted, as our thoughts often seem to roll on and on, many times in very bothersome patterns, despite many of our efforts to stop them, or to change our thought courses. But, it is possible to control it. The mind is the seat of “attitude”, or “mindset”. This is the way it can lean toward a more positive or negative view of life at any given time, or a more fearful or more determined view. The mind is also our main “scientist”: the part of us that makes predictions about what will happen if we do this or that, and tests those predictions out. The mind takes in data from our senses, takes in the world’s responses to our words and actions, takes in data from our own emotional states, and from that data (which may be HIGHLY skewed and inaccurate) formulates beliefs about ourselves, certain other persons and entities, and the world at large. As time goes by, the mind shapes and shades those beliefs, and finds its own “comfort zone”; it forms a repertoire of action and verbal responses to others around us that it thinks typically bring rewards, and/or avoid negative results. The mind does all of this, though very seldom do we really check out just how well it’s doing its job! And that is where we get into ruts of unproductive habits, false beliefs, and inaccurate self-talk. And by the way, the mind is also responsible for talking to itself, for talking to “us”. So, if the mind is all of that, what is it NOT? Well, in my view, emotions are not truly part of the mind. Emotions happen. They are more brain reactions than mind reactions, to various events or sensory inputs or mental thoughts. Emotions are nearly impossible to prevent, and very difficult to control. Again, they simply happen. Once emotions occur, both the brain, the body, and the mind all respond, but the body and brain respond first, with a variety of reactions that can include laughter in response to humor, tearfulness in reaction to sadness, reflexive recoiling and exclamations in reaction to fright, yelling and hitting walls in reaction to anger. The mind also reacts, though typically more slowly, unless one trains the mind to be in greater-than-usual readiness for emotions to occur. As implied above, I also do not see the brain itself as part of the mind. I don’t believe the mind can exist without the brain, and thus if or when the brain ceases activity, the mind fades out. However, I see the mind as more than just a grand symphony resulting from the accumulated firing of thousands or perhaps millions of neurons at any given time. Most other neuroscientists would perhaps disagree with me, but in a purely neurological and physical sense, I believe ‘mind’ transcends physical neuronal function. That symphony known as our consciousness takes on a life of its own as we mature, and I prefer to think of it has having sovereign powers that the brain itself does not possess. No doubt, though, there is an undeniable connection between mind and brain, but I don’t think of them as one and the same. Finally, the mind is not the soul. This, of course, is a matter of faith, but my innermost self, which I believe is my “soul”, proclaims to me that it is more than body, more than brain, and more than mind. It is. It has no language. It inhabits, but also transcends, my mind. It is where my deepest longings and yearnings stem from, and, I believe, where my deepest connection with the Creator exists. All of these things are the mere beginnings of discussions, and will wait for another day, another post. For now, let it suffice to say that from the vision of the mind we will launch into a fuller discussion of what I see as obtainable mental health. Please, if you’ve read this far, stick around! I promise to get us back home to Kansas soon! “What if the Hokey-Pokey really IS what it’s all about?! ?” Anon. Being serious, though, I have found that there are a large number of beliefs and conceptions about life, mental health, and spirituality which many, many of us hold to be true, that may not be true at all. Certainly, if we just focus on mental illness, there are at the very least many inaccuracies people still hold to be true. As the last 3 decades have progressed, we in the U.S. have seen a number of efforts from both public and private sources to educate folks about mental illness and its treatment. Yet, despite such applaudable efforts (and unfortunately, in some cases because of these efforts), I still see daily examples, even in myself, of errant and misguided thinking. Because mental illness and helping those affected by it to recover are very dear to me, there is a strong drive within to shed as much light as I can on what I have come to believe are truths about mental illness and mental health, as well as on the overarching spheres of health and living well. I guess the previous sentence really encapsulates what I most hope to accomplish here. This will not be a scientific treatise. I will from time to time list reference citations if and when I draw upon a particular published article or essay or other written source. However, I really intend for this to be an informal discussion, to lay out my personal “case” for certain ideas or against others, and to do it in as lighthearted and non-threatening a way as possible. When we talk about things such as depression or anxiety or schizophrenia, and what they are all about, it may be inevitable that I’ll have to present some information about neurophysiology and the interplay between brain, body, and mind, but I’ll try to write in the most plain and readable language I can. I love to laugh. I always appreciate good fun. I want to make this blog “good fun”. I’m not much for crude humor, but I’m a sucker for slapstick, having cut my teeth on The Three Stooges and The Bowery Boys. My own sense of humor lies more to the dry end of the spectrum, and you’ll likely see that as time moves along. If anyone reading along ever has a good joke to leave in the comments section, it will be much enjoyed, I assure you! I want to tell you a bit about my background, and the hopes I have for this little project of mine. I am a husband, a father, and more recently, a grandfather. I wear many hats, and have a few interests. I have had many struggles, as has almost every person I’ve ever come to know. I’ve made many mistakes, some of them very bad ones. I’ve seen a number of successes, some of which have been akin to the proverbial blind squirrel stumbling across an acorn. I’ve been blessed in innumerable ways, by my Creator, by my family, by my friends and colleagues, and by every single one of my patients. So to a large extent the things I write spring from pure gratitude. As I mentioned in the previous entry, I am a psychiatrist. This means that I attended medical school, and after graduating went through a few years (in my case, four) of what is called “residency” that was geared specifically toward training in psychiatry. Since finishing residency, I’ve done a little bit of everything, it seems. I was in private practice, doing both inpatient and outpatient work, for a little over two years, followed by another two-plus years of full-time consulting work in nursing homes scattered throughout central Kentucky. From there I went on to work for the state in our prison system, and spent right at four years in that occupation. In 2004, I was hired by what is known as a community mental health center in central Kentucky, and have worked in that setting ever since. About half of my time is spent in our community clinics, treating folks with a variety of mental health problem. The other half is the part I love most: working with adults and adolescents who have either intellectual disabilities (formerly known as mental retardation), developmental disabilities (autism or autism-spectrum disorders), or brain injuries, AND some form of mental illness. Finally, I must make mention that I hold very strongly to my own personal faith, and this faith strongly colors and pervades my thinking. Also, as you may have noticed, my work has been dominated by efforts to provide help and treatment to four very underserved, and in many ways forgotten, populations: nursing home residents, prison inmates, rural mentally ill persons, and folks with intellectual/developmental disorders. Because of this, I believe my perspective is a little different from that of mainstream psychiatry and most other mental health professionals. Whether for good or ill, these two influences run through the course of my life, and in turn, everything I will say herein. Just letting the reader know where I’m coming from. Now, how does it all go? Oh, yeah … you put your right foot in, you take your right foot out, you put your right foot in, and you shake it all about; you do the hokey-pokey and you turn yourself around, and that’s what it’s all about!!! For openers, how about this? My father-in-law, a lifelong scientist and cancer researcher (as well as a pretty darn good jazz pianist! ), is fond of telling anyone willing to listen that science ONLY advances by disproving things. When one sits back and reflects on this idea, it can be a mind-expanding experience. When we understand that as one forms a hypothesis, and then sets up an experiment to test it, the goal is not really to prove that our hypothesis is true, but rather, that it is NOT true … i.e., to disprove it. Otherwise, what do you really know? We learn and move forward by finding out what does NOT work. Recently I’ve been wondering whether our personal mental health improves only by disproving things, too. In this case, ‘things’ would refer to false beliefs, false self-talk, falsehoods in general. I am a psychiatrist; AKA, a ‘shrink’! I am also human. While your experience may tell you that the two are mutually exclusive, especially if you’ve ever had to deal with a psychiatrist (we ARE a nutty bunch! ), I can assure you that there are a few of us who are both! I’ve been working in the field of mental health care for nearly 20 years, including the time I spent in residency training, but only recently has it begun to dawn on me that discerning truth from falsehood, if one can succeed in doing so, would do far more good for us in our personal journeys than any amount of medicine, psychotherapy, community habilitation, support groups, and various other interventions and treatments. Learning and applying truth in our lives could and likely would, in a very real sense, set us free. I have a fairly small mind. I have a fairly small voice. I have a few decent ideas. I can type. With those building blocks as my starting point, I’m hoping to now finally put into writing some things that I’ve longed to say for a long time. I’m also hoping to learn about new and old truths myself as we go along, and perhaps you will share some truths you have learned with me and the rest of us. My hope and prayer is that it will help someone. I believe it will help me. If by disproving a few ideas and thus illuminating what is true about us and about our mental health I also happen to help you or someone else, then so much the better. It will just be a small bit of paying forward what has been so graciously given to me. The “Shrink in the Belfry” theme was chosen because I think it befits what I hope to do. Obviously, the idea springs from the old phrase, he/she has “bats in the belfry”, referring to someone mentally unstable, or “crazy” (a term I dislike, by the way). 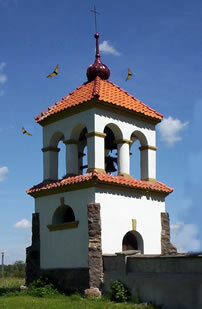 A belfry, of course, is a large room atop a church or old building in which are hung bells. 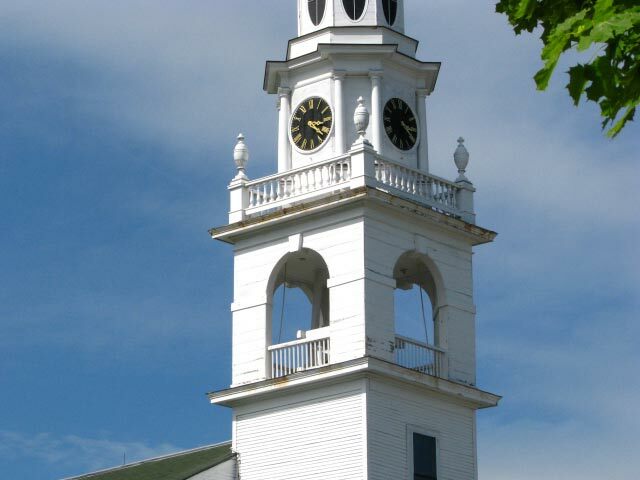 It’s a nice metaphor in the sense that our “belfry” would be our head, in which is hung our brain! My thought is that, if we can dispel some notions that tend to keep us stuck in our unhealthy ways and unhealthy states of mind, we’ll be literally releasing bats from our belfries, allowing our bells to ring much more clearly and beautifully. I think it could be a fascinating adventure. If you’re interested, come along!